"I don't know yet what I am capable of doing," wrote Thomas Wolfe at the age of twenty-three, "but, by God, I have genius -- I know it too well to blush behind it." 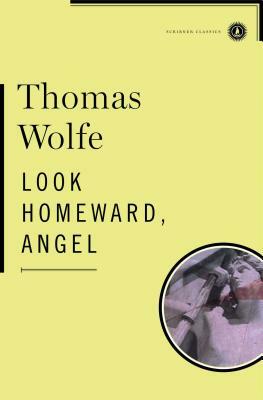 Six years later, with the publication of Look Homeward, Angel, Wolfe gave the world proof of his genius, and he would continue to do so throughout his tumultuous life. Look Homeward, Angel is the coming-of-age story of Eugene Gant, whose restlessness and yearning to experience life to the fullest take him from his rural home in North Carolina to Harvard. Through his rich, ornate prose and meticulous attention to detail, Wolfe evokes the peculiarities of small-town life and the pain and upheaval of leaving home. Heavily autobiographical, Look Homeward, Angel is Wolfe's most turbulent and passionate work, and a brilliant novel of lasting impact.